BANGKOK – 24 February 2014 – Adding to their wealth of experience operating extraordinary Indian Ocean resorts, Six Senses Hotels Resorts Spas announces their first resort in the Seychelles called Six Senses Zil Pasyon. 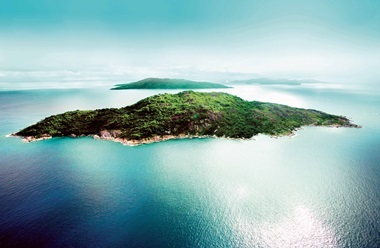 Scheduled to open in 2015, the resort is located on the private island of Félicité. The island is approximately 55 kilometers, or 30 nautical miles northeast of Mahe, with access by helicopter from the International Airport or a short boat ride from neighbouring La Digue and Praslin islands. Félicité is one of the most dramatically beautiful isles in the 115-island nation featuring massive granite boulders that fringe the shoreline and create an air of drama and mystery. Measuring 264 hectares (652 acres), the resort will create a very personal destination that embraces nature whilst offering every creature comfort. A sanctuary within the natural environment, the island features prolific indigenous and abundant flora and fauna – the ideal site for a Six Senses project and the sole resort on the island. Six Senses Zil Pasyon will be located on the north side of the island and will occupy less than one third of the total land. Seychelles offers a myriad of water sports alternatives including diving, snorkeling, sailing, windsurfing, yacht charter and island-hopping boat trips. Located outside the cyclone belt, it offers year-round activities. In addition, there are numerous scenic and inspirational walking trails amidst the islands lushness. 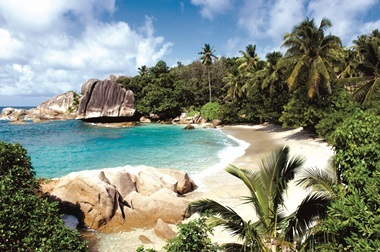 Offering perpetual summer, Seychelles is also a popular and favoured destination for weddings and honeymoons. The parties were advised by Jones Lang Lasalle Hotels (Singapore) and Mukesh Valabhji of the Capital Management Group (Seychelles). Set to double in size over the next three years, Six Senses operates resorts in far-flung locations featuring incredible natural beauty. Known for its unique and diverse design personality, each property is supported by a leadership commitment to community, sustainability and wellness. Evason introduces a collection of unique resorts that follow the Six Senses philosophy of uncompromised responsibility to sustainability and to the community. Family friendly, these properties also provide a strong value focus while offering a vast array of guest services and personal attention.